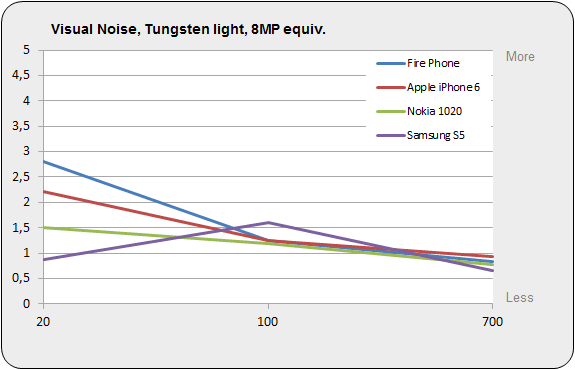 With a DxOMark Mobile score of 69 the Amazon Fire Phone takes the number 18 spot in the DxOMark smartphone rankings, directly ahead of the HTC One M8. 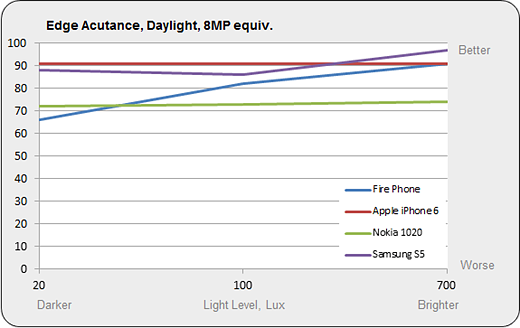 The DxOMark team reports the Fire Phone images show "good exposure in low light and bright light conditions and "nice details preservation outdoors". They also found the autofocus to perform very speedily in bright light. On the downside the testers found that "white balance is yellow/green in sunny conditions, sharpness is different between the center and the edges of the frame" and there is "strong flare visible in sunny backlight outdoor conditions and strong color fringing." They also found the autofocus to be unstable. Shooting with flash results in strong vignetting and the white balance is inaccurate when flash is mixed with tungsten light. In the Amazon Fire Phone's video mode the recorded footage shows "good overall exposure for scenes with static lighting conditions and good color rendering even in low light". 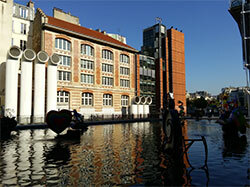 The testers also found the optical image stabilization system to work very efficiently when shooting hand-held. 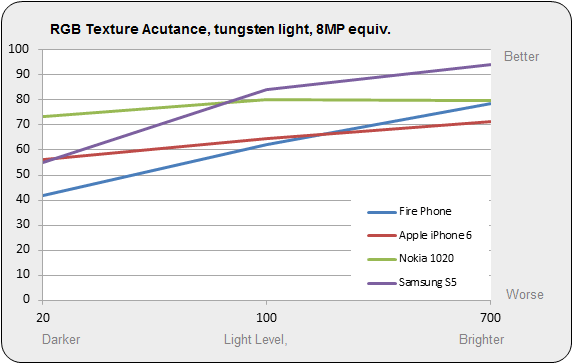 On the downside, the "autofocus is unstable and struggles to focus in low light, especially at macro distances". 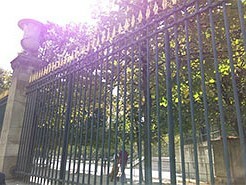 There is also some noticeable "stepping" when exposure is adjusted and "white balance adjustement is not smooth for sudden changes of lighting conditions. The DxOMark team found that the Amazon Fire Phone images show "good overall exposure in low light and bright light conditions" but "the white balance is yellow/green in sunny conditions, a slight color cast is noticeable under tungsten light and some colors are over-saturated. 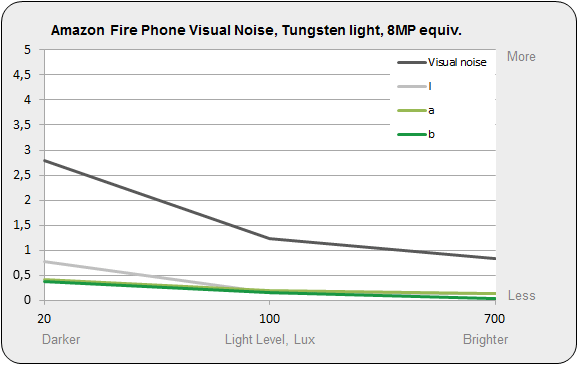 DxOMark's engineers reported that on the Amazon Fire Phone images show "nice details preservation outdoors" but "luminance noise is visible in areas of plain color even in bright light and strong luminance and chroma noise is visible in low light". 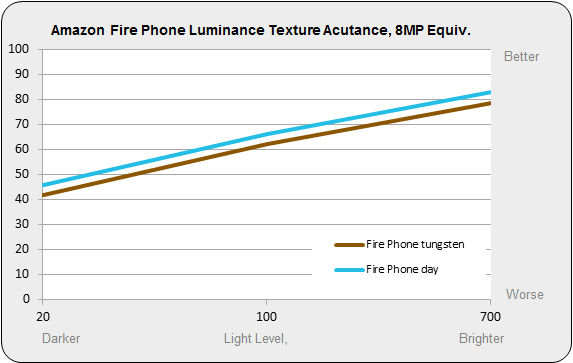 Luminance texture acutance is a touch higher in daylight than under tungsten light but the difference won't be noticeable in normal shooting. 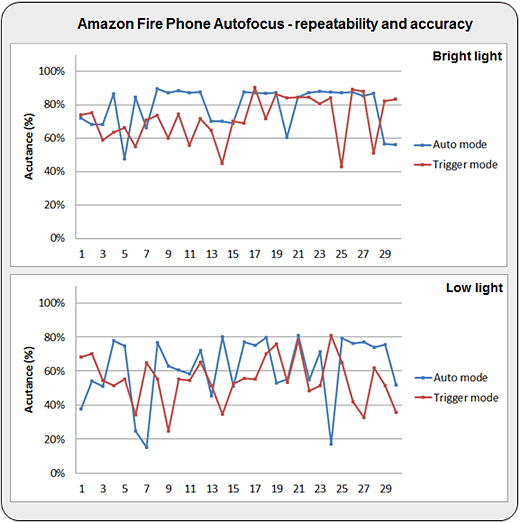 In terms of texture acutance, the Amazon Fire Phone performs well in bright light but is trailing behind the competition in dimmer conditions. 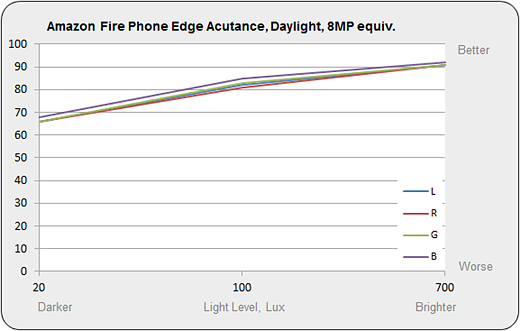 In bright light the Fire Phone's measured edge acutance is at the same level as the iPhone 6 but cannot keep up with the competition in low light conditions. Noise levels are high in low tungsten light but drop considerably as the illumination gets brighter. 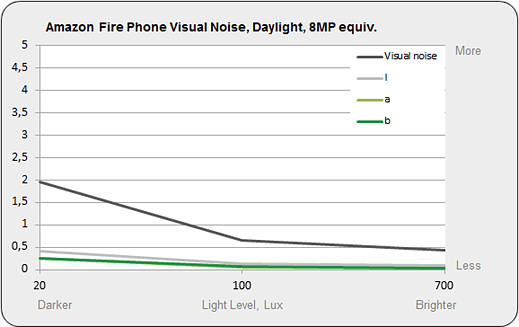 Daylight noise values are a touch lower than under tungsten illumination. 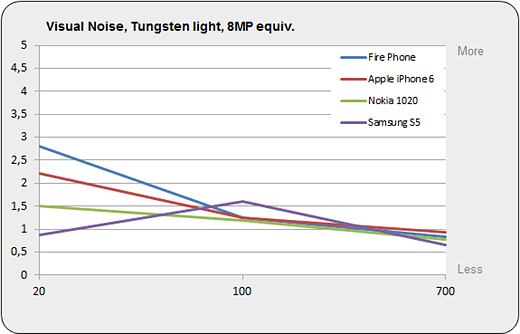 In bright light the Fire Phone's noise values are on par with the competition but among the highest in low light conditions. 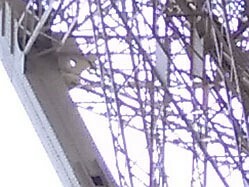 The graph shows the magnification from center to edge (with the center normalized to 1). 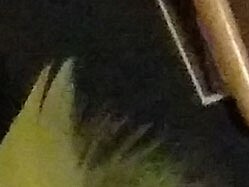 The Amazon Fire Phone shows a slight pincushion distortion, which is not going to be noticeable in normal photography. 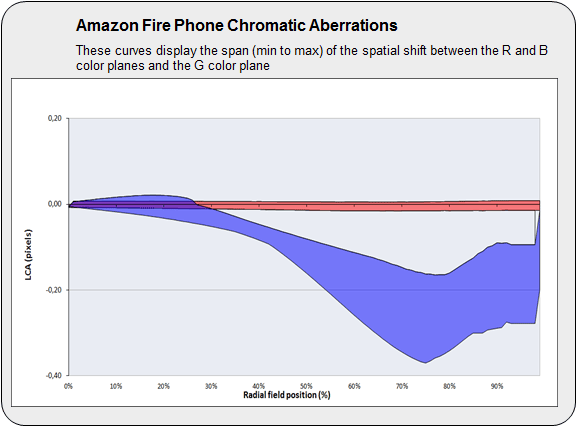 The Amazon Fire Phone images show stronger than usual lateral chromatic aberrations which are visible in some high-contrast shooting situations. DxOMark also tests autofocus accuracy and reliability by measuring how much the acutance - or sharpness - varies with each shot over a series of 30 exposures (defocusing then using the autofocus for each one). 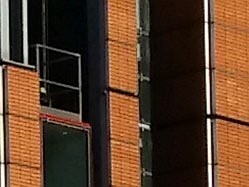 As with other tests these results are dependent on the viewing conditions (a little bit out of focus matters a lot less with a small web image than a full 8MP shot viewed at 100%). 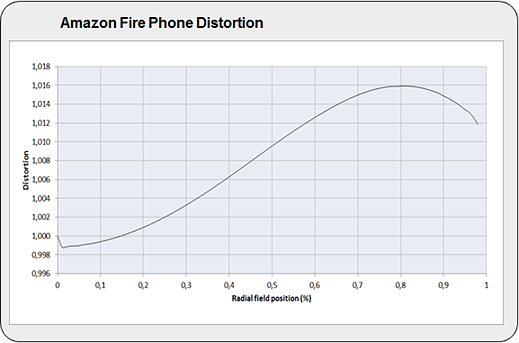 Using the 8MP equivalent setting, the Amazon Fire Phone is more unstable than many competitors. 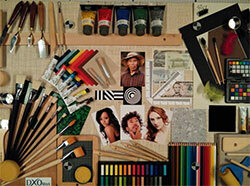 The overall score is 65/100 in bright light and 40/100 in low light. 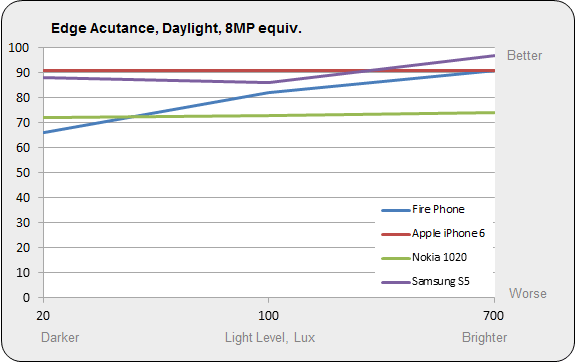 DxOMark scored the Amazon Fire Phone 61/100 overall for its flash performance which is lower than most of the competition. 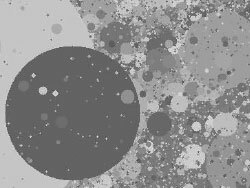 DxOMark engineers put phone cameras through a similarly grueling set of video tests, and you can read their full findings on the DxOMark website here. 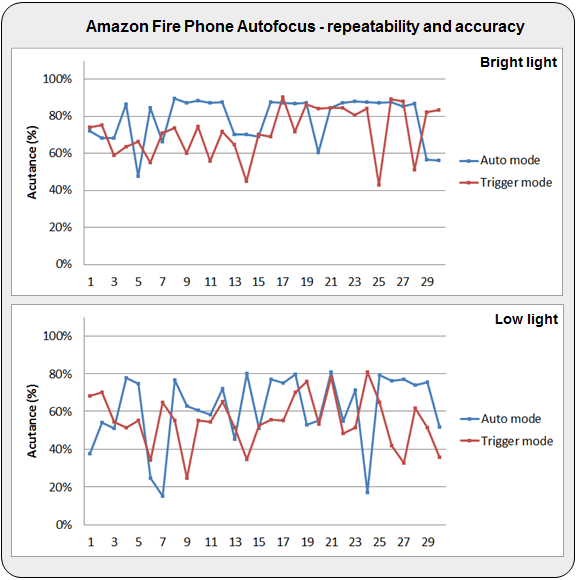 Overall DxOMark found the Amazon Fire Phone's video performance to be decent in good light, with good exposure and detail. However, in low light, the AD is unstable and both exposure and white balance adjustments are not smooth.